Contains millions of beneficial bacteria for optimal biological balance. Each ball is packed with millions of beneficial bacteria which will help smooth out Ammonia and Nitrite spikes and keep your pond clean and healthy. The balls will slowly biodegrade as the bacteria is needed. Place the balls directly into your filter media ideally in a small net bag. They can be placed between sponges/ matting . If you have a pressurised or bead filter just empty the contents of the tub directly into the filter. When the balls shrink we advise replacing them as the Bacteria has migrated from them into the water. Ideal for use after using chemicals to help mature filters and during frequent feeding. Use monthly to help maintain healthy water. Store at room temperature below 4c may render the product ineffective. You cannot overdose. No need to switch off UV Clarifier. Please note the use of chemicals and certain Blanket Weed treatments will render this product ineffective do not use when treating your pond with such products. 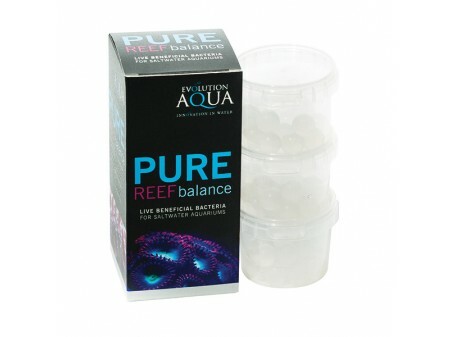 Using Aqua Balance Balls after treatment will help restore the biological balance. You cannot overdose. For Aquariums use 1-2 balls per 100 litres. Wash hands after use and keep away from children. Do not swallow.